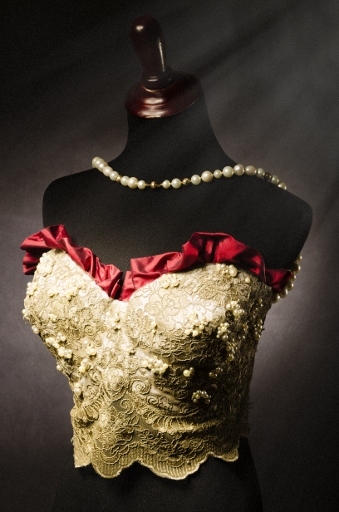 If one artist can create a stunning Art Bra, think of what two can do! There’s something exciting about having a “mind meld” when combining creative forces together for a good cause, and these artists gladly became part of a team to pull off these gorgeous bras. A set of sisters and two close friends since college, these four women balanced their talents and skills to create dramatic and fun-loving bras that any model would be proud to wear. Theresa is a retired fashion instructor from Chicago, and is passionate about traveling overseas. Theresa’s artistic style is very eclectic, and she gets the most satisfaction and enjoyment when working with various fibers, and textures. 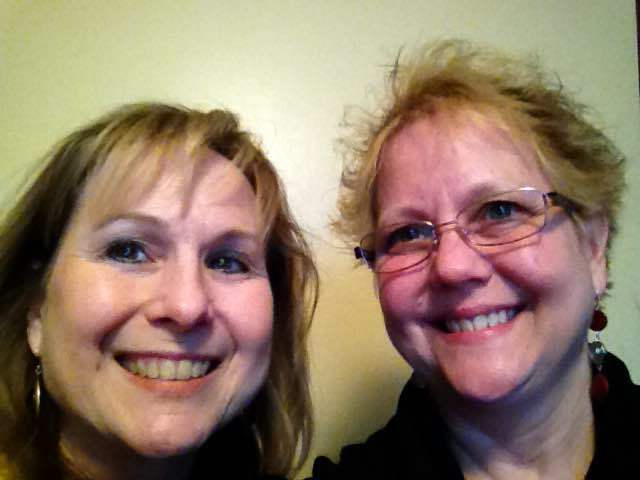 Theresa and Linda are not only co-designers, but sisters as well — and they’ve both had family and friends diagnosed with breast cancer. 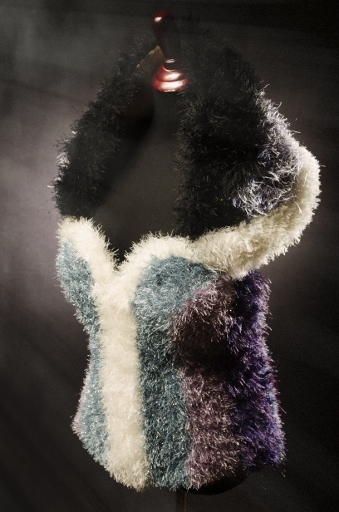 They are veteran Art Bra artists, and used a combination of fun fur yarn and fabric to create their bra, inspired by the villainess Cruella DeVille from “101 Dalmations.” They hoped to show the softer side of Cruella, making her more fun and approachable. They’ve added a wig, gloves, cigarette holder, skirt and dog purse to complete this furry ensemble. They’ve dedicated this bra to their friend, Karen, who was diagnosed with breast cancer. Ingrid works in technology and has used her creative energy through solving interesting technology problems. She loves to cook, run and brunch (and she is standing by that activity as a hobby). Elizabeth has a background in fashion merchandising, fashion production and the bridal industry and attends the Art Institute of Austin. She loves entertaining, traveling and hiking. 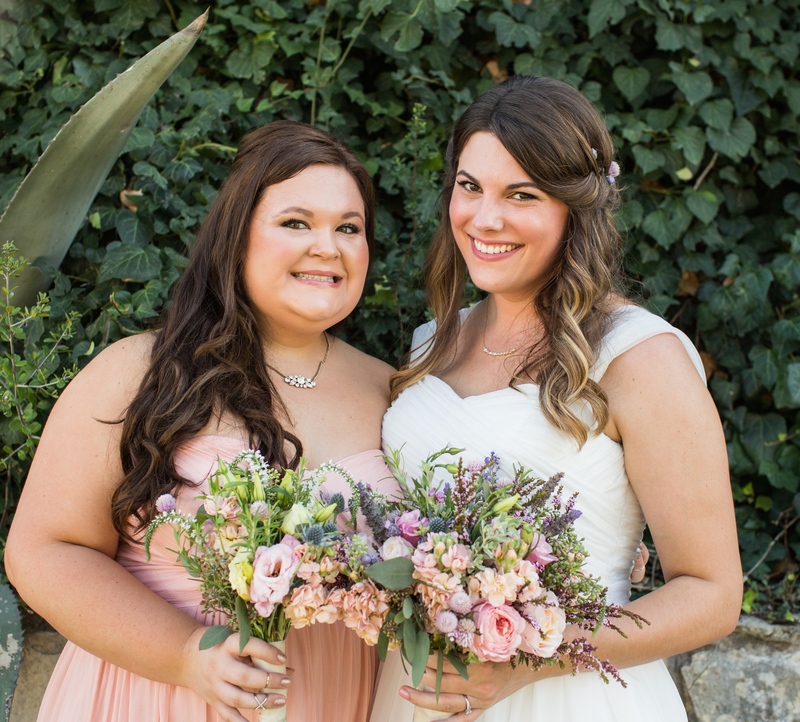 Ingrid and Elizabeth met in college and have been close ever since, saying they thrive on collaboration and are thrilled to be a part of an event that not only empowers women but celebrates their bodies as well. They’ve both had several friends who have survived breast cancer, and created their bra, “Renaissance of the TaTas” with hopes that their friend Carol Hardy would model it. They used lace, gold dye, raw silk, pearl beads and chiffon ribbon to create an Elizabethan style Chanel gown, featuring an elegant and dramatic neckline as well as an accompanying ruff collar.